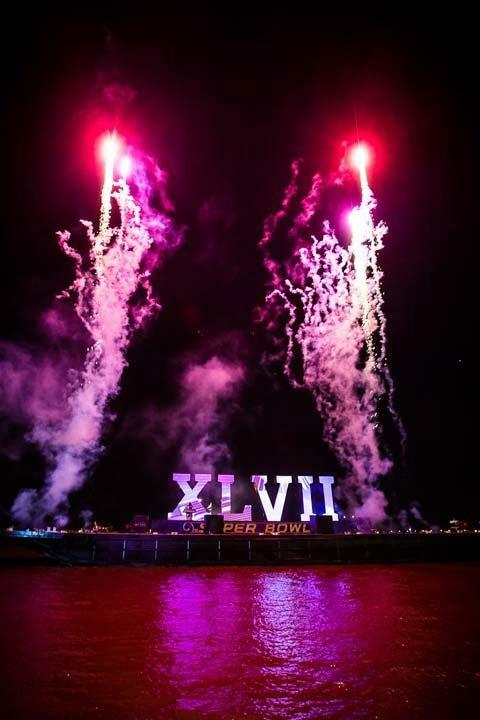 The Baltimore Ravens will meet the 49ers in the Super Bowl on February 3 in New Orleans also known as NOLA in a battle of the first Super Bowl between two brothers — John and Jim Harbaugh. And to celebrate this historic event, we have matched up two great recipes from these two cities. Prince Frederick Dodge will leave it up to you to decide the outcome of this recipe battle! Combine all ingredients excluding crabmeat & mix thoroughly. 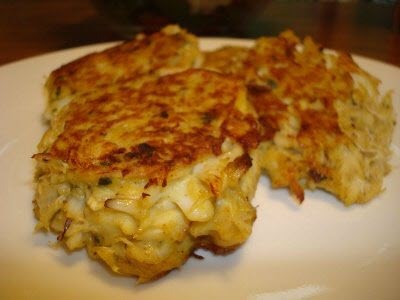 Add crabmeat and toss gently to prevent the lumps from breaking up. Portion to 4-ounce servicings and bake for 11 minutes. While the broth is cooking, heat 2 tablespoons of oil over high heat in separate large saute pan. Season the bass on both sides with salt and pepper and cook until golden brown on both sides, about 2 minutes per side. Remove to a plate. To the same pan, add another 2 tablespoons of oil, season the shrimp and saute until lightly golden brown, about 1 minute per side. Remove to the plate with the bass. 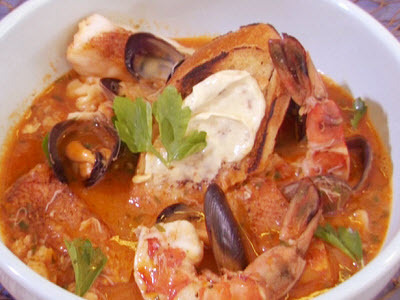 Add the clams, mussels, bass and shrimp to the reduced broth and cook until the clams and mussels open, discarding any that do not open, about 3 minutes. Stir in the parsley and tarragon and season with honey, salt and freshly ground black pepper. Add hot sauce, to taste. Preheat Grill Pan to medium-high heat. Stir together butter and anchovy paste in a small bowl. Set aside. Brush bread with oil on 1 side and season with salt and pepper. Grill, oil side down on preheated grill pan until lightly golden brown, turn over and continue grilling until lightly golden brown on both sides. Remove bread to a platter and spread some of the butter-anchovy mixture on the seasoned side. Cut each slice in half, crosswise. Place 1/2 slice of the bread in each bowl, ladle some of the mixture on top and top with the remaining 1/2 slice of bread. Garnish with parsley leaves, if desired.